Say hello to Ensaymada, Halo-halo, Tinola, and more! Fine Arts student Basil Nacionales, who also goes by the handle B-Tan, has come up with cute "food babies." As their name implies, the cute characters are based on Filipino food. Nacionales explained in an interview that she "got hungry while working on a proposal for an illustration book study for a class." She says she wants to come up with a children's book featuring her characters. 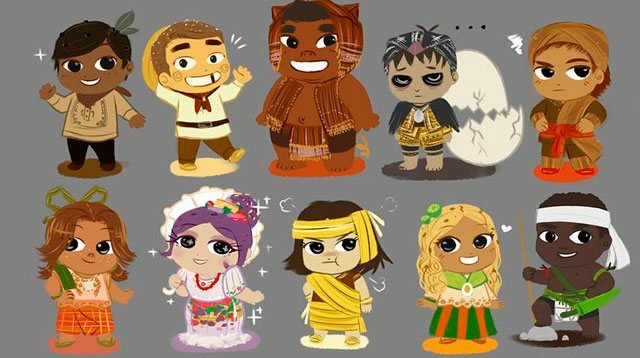 All in all, Nacionales created 15 characters. Below are five of them.